Rosa's mother is singing again, for the first time since Papa died in an accident in the mills. But instead of filling their cramped tenement apartment with Italian lullabies, Mamma is out on the streets singing union songs, and Rosa is terrified that her mother and older sister, Anna, are endangering their lives by marching against the corrupt mill owners. After all, didn't Miss Finch tell the class that the strikers are nothing but rabble-rousers--an uneducated, violent mob? Suppose Mamma and Anna are jailed or, worse, killed? What will happen to Rosa and little Ricci? When Rosa is sent to Vermont with other children to live with strangers until the strike is over, she fears she will never see her family again. Then, on the train, a boy begs her to pretend that he is her brother. Alone and far from home, she agrees to protect him... even though she suspects that he is hiding some terrible secret. 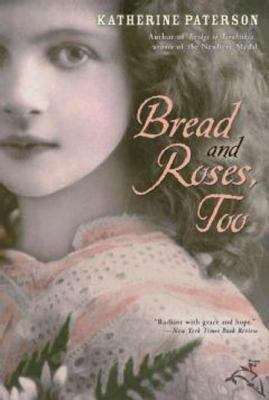 From a beloved, award-winning author, here is a moving story based on real events surrounding an infamous 1912 strike.